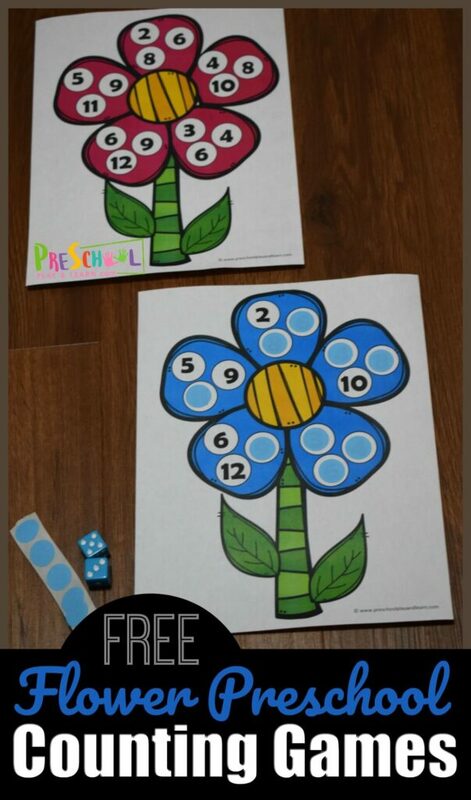 Kids will have fun practicing counting 1-12 with this super cute and FREE printable flower preschool counting game perfect for preschool, prek, and kindergarten. 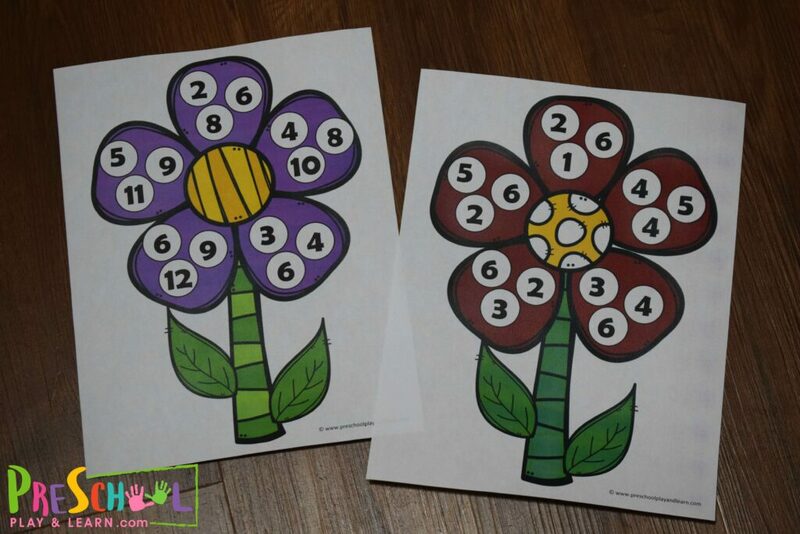 This free printable activity is a fun way for preschoolers to practice counting numbers with a spring-themed flower math activity. 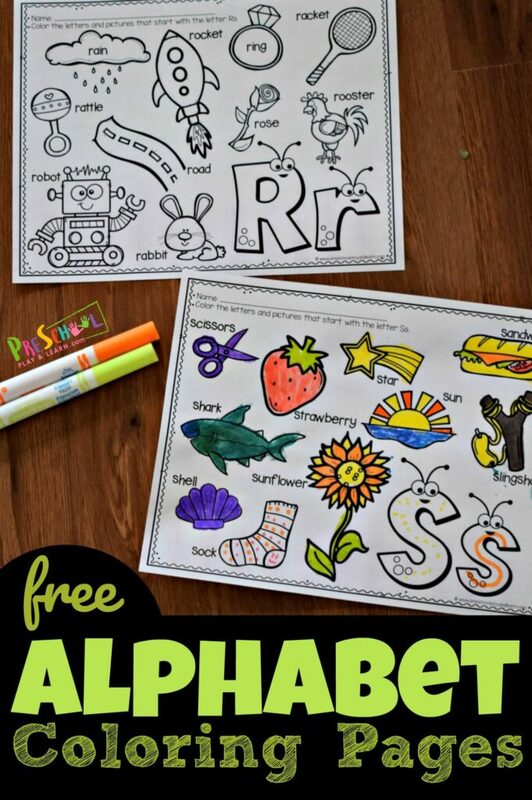 There are two different levels to this clever math activity for preschoolers. Print out one of the three flowers with yellow strip centers for practice counting to 12. 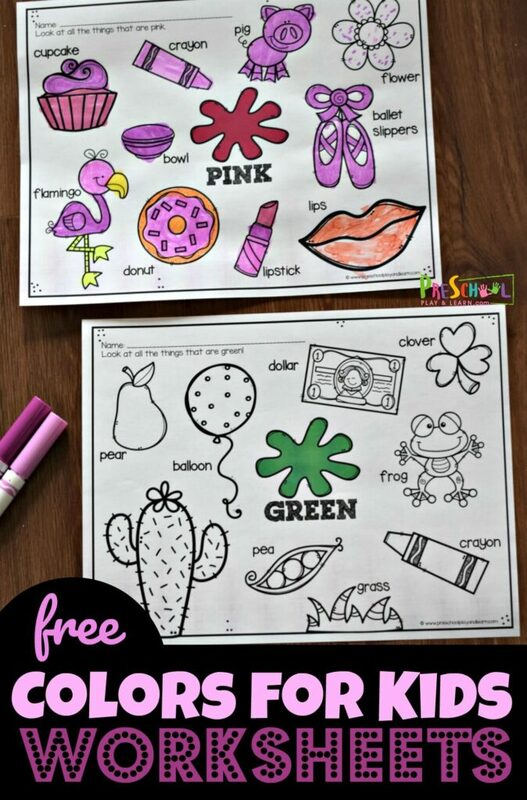 Print out one of the two flowers with white dots in the center for practice counting to 6. 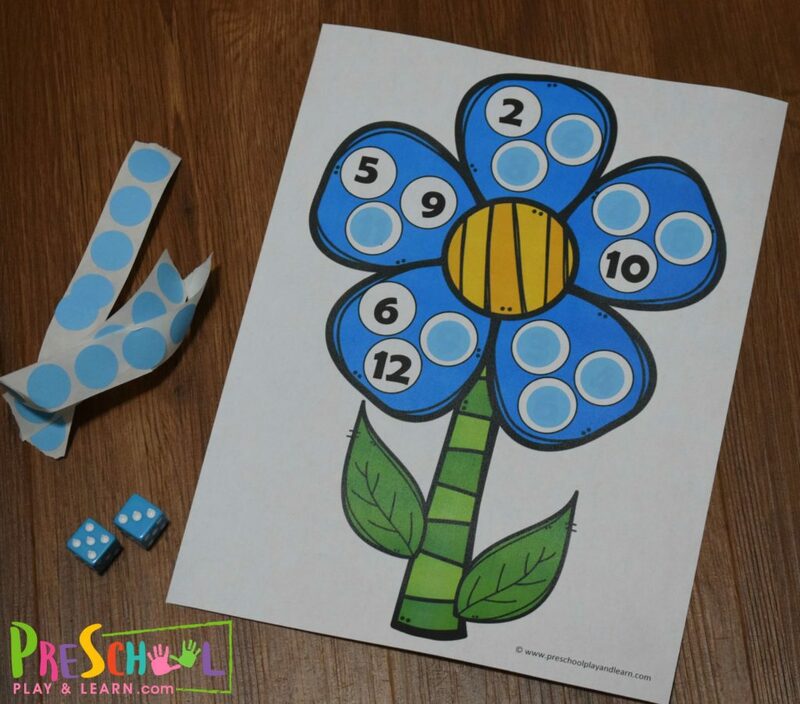 The simplest version of these spring themed counting games for kids uses ONE dice, circle stickers, and the flower printable with the white dots in the middle. 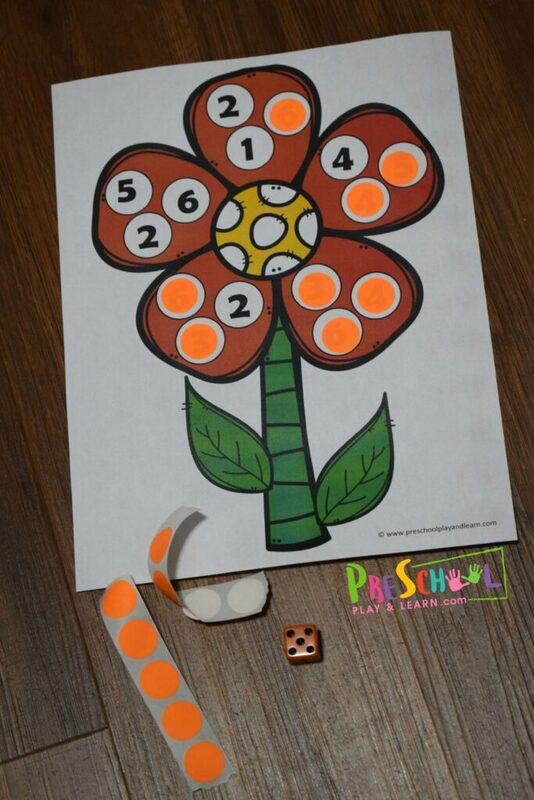 Pick one of the two options and have your preschooler roll the dice, count the spots, and put the circle sticker over the corresponding number on the flower. Continue rolling, counting, and decorating until the numbers are all covered. 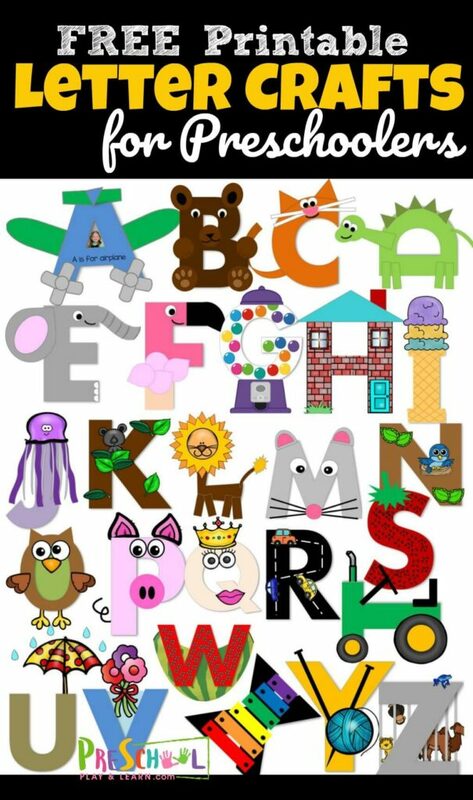 HINT: This preschool math game can be played with other players. Just make sure each player has their own counting worksheet. Then students will take turns rolling the dice and race to see who can complete their flower math craft first. The more advanced option of these counting games uses two dice to practice counting 1-12. Grab circle stickers (we use matching to work on color recognition at the same time) and two dice. Students will roll the dice, count the dots, and put a sticker on the number they counted. Continue rolling and counting until you’ve decorated your entire flower.